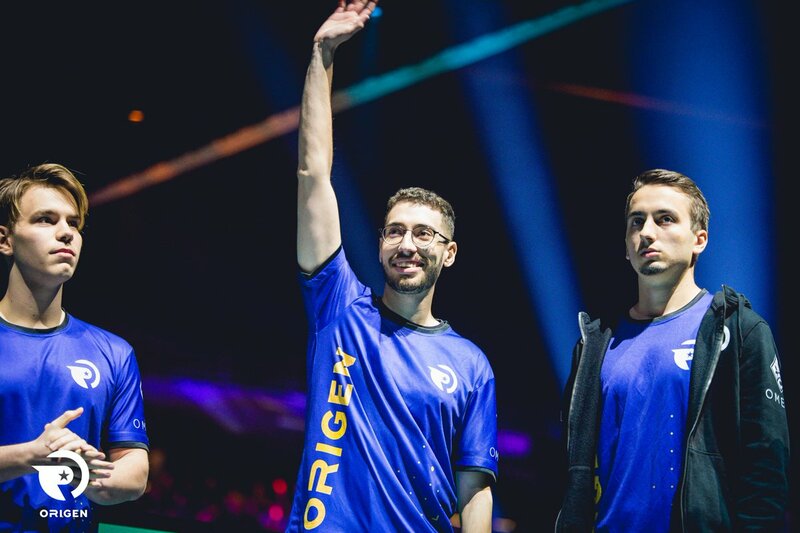 Fnatic vs Origen was one of the most anticipated series of LEC 2019 since both sides were desperate to win the slot for the grand finals. In the first game of the semifinal series, Fnatic implemented an interesting strategy. They picked one of the most popular healing combos, Taric and Sona. Yet Origen was prepared to give them a tough fight. As a reply, the side picked Blitzcrank and Zed combo which proved to be a key element for their victory. The Taric/Sona combo of Fnatic was destroyed by the devastating hooks of Blitz. Origen continued to control the game from the first minuted and Fnatic give little to no response. Origen implemented its strategy to perfection and ended the game at the 32-minute mark. With a 1-0 lead, Origen shocked the reigning champions of the LEC. We win the first game after a super good early game. Good feelings. Let's go for it! After Fnatic failed to play the Taric/Sona combo, Origen picked it for the second game of the series. The Spanish club also banned Blitzcrank, which they picked in the first game to decimate Fnatic. The oranges surprised everyone with an Annie pick and the game was just superb. From the early to mid game, both teams didn’t shy to get into team fights. Yet, Fnatic also managed to secure several objectives, including the first Dragon, the first Baron, and the first tower. But unfortunately, the side didn’t manage to finish the game while they were in the lead. Scaling into the late game, Origen got the items they needed to not just hold Fnatic, but demolish their advantage, Fnatic was helpless and watched the destruction of its Nexus. The series was now 2-0 and Origen was just one win away from getting into the final. YES!!! What a hard game with another super ending. Game for us. One step more. VAMOSSS!!! With just one defeat away from losing the semi-final, Fnatic went all guns blazing in Game 3. Hylissang picked one of his signature heroes, Pyke and then started the game in a dominating fashion. The side outplayed Origen in every single lane and controlled the pace of the game. Reaching the mid-game, Rekkles outperformed his counterpart, Patrick as he got more than 80 CS. The star of Fnatic was unstoppable on his Vayne. The game ended at the 26-minute mark and Fnatic finally got its first win of the series, 2-1. The fourth and final game of the series had no surprise picks, no controversies whatsoever. Since both teams decide to play in their signature styles. In other words, we witnessed a very risk-free/boring game. The early game was not at all entertaining, but Origen spiced things up in the mid-game. Since Kold, Mithy and Nukeduck managed to get the better of Fnatic in the laning phase. After an incredibly one-sided team fight, Origen strengthened its lead by picking up Baron Buff. It was enough to win Origen the series where they arrived as the underdogs. With this result, Origen went into the finale of the Spring Split 2019, while Fnatic season ends. The oranges will surely bounce back for the next competition and will surely evaluate its strategy.